Pittsburgh has been making great strides in the travel and leisure space. 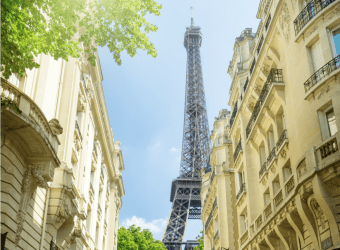 Often thought of in the past as just an industrial behemoth, this beautiful city has reinvented itself as a great destination for foodies, nature lovers, artists, and sports enthusiasts. The city’s step hills and winding rivers add a certain charm to the city that never fails to impress first time tourists. Foodies will delight in all the city has to offer. Although you can find plenty of cheap dining options all around Pittsburgh, there are tons of award-winning restaurants sprinkled throughout this wonderful city to try out. Here are some of the best places to get a truly memorable meal the next time you find yourself in Steel City. 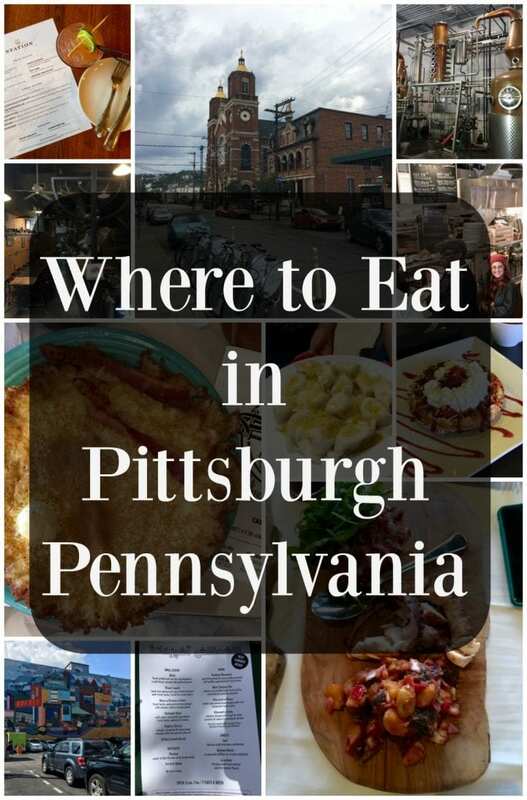 Where to Eat in Pittsburgh Pennsylvania is our homage to the amazing restaurants we tried around the city. Two U.S. Navy Lieutenants are behind the unique Pittsburgh eatery on 21st Street called the Smallman Galley. Actually, the Smallman Galley is a collection of four restaurants, a bar, and a coffee shop. 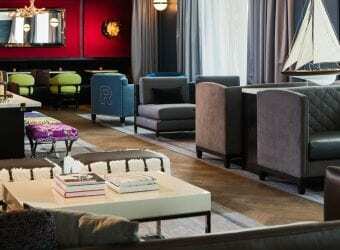 The idea behind this 6,000-square-foot property is to showcase innovative local chefs in a relaxed dining atmosphere. In case you’ve never heard the term before, a “galley” is where sailors kick back and eat together while out at sea. “Smallman” was chosen simply to refer to the average man. Smallman’s owners believe every American should have the opportunity to have a relaxed fine dining experience without breaking the bank, and they also believe in supporting local culinary talent. Since the Smallman Galley is always hosting different chefs throughout the year, there’s always something new and exciting going on. A few special cuisines that have been served in Smallman Galley’s restaurants include Philippine, vegetarian, meat-based dishes, and even toast-based dishes. As the name suggests, Waffles, INCaffeinated, specializes in both waffle dishes and coffee. With three locations in Wexford, the South Side, and Beaver, Waffles has grown an incredible following in the Pittsburgh area. The team working at Waffles believes that waffles aren’t just a delicacy to be enjoyed during breakfast time. Waffles, INCaffeinated, believes waffles can be a fine dining experience…if they are prepared right, of course. 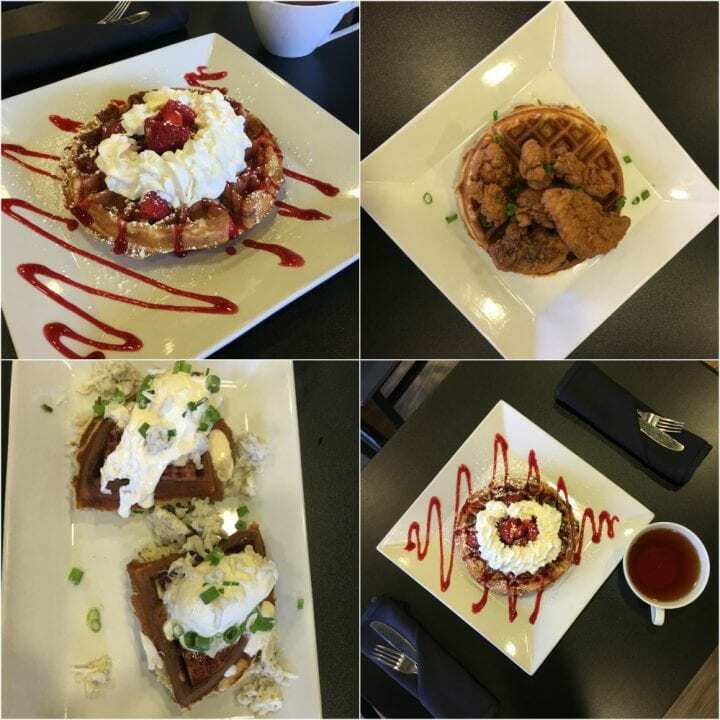 A few popular dishes on Waffles’ menu include waffles with sausage and gravy, waffles with blueberries and raspberries, and chicken & waffles. 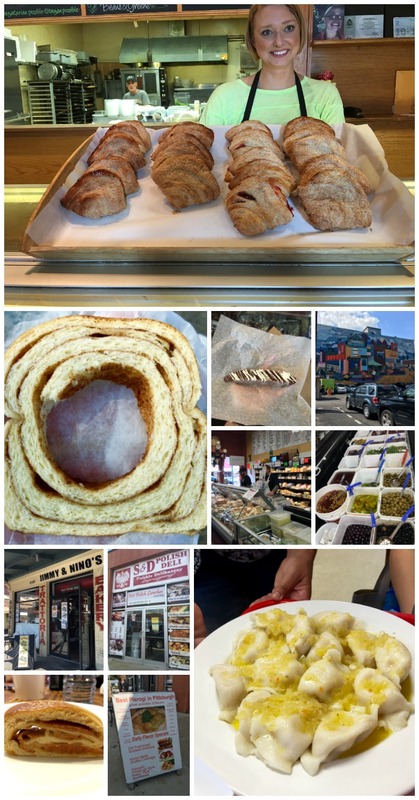 One highly reviewed food tasting tour in Pittsburgh is called the ‘Burgh Bits & Bites Food Tour. 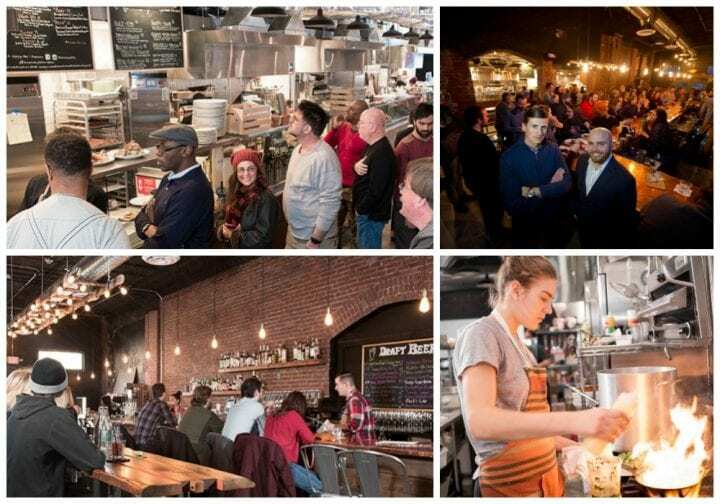 Tour guides tell visitors all about the history of different local culinary treasures in each of Pittsburgh’s most famous districts. This tour group was actually founded by a Pittsburgh local, Sylvia, who spent eight years learning all about the best in cuisine on an extended trip to Switzerland. Sylvia brought her foodie skills back with her to Pittsburgh and quickly founded this successful tour group to celebrate the diversity of her home city. A few special tours offered by this group include visits to the Strip District Market, Northside, Lawrenceville, South Side, and Bloomfield. ‘Burgh Bites & Bites also offers customized tours for both student and corporate clients. Station is a restaurant located in Little Italy that specializes in modern American cuisine. A few of the most popular dishes served up at Station include duck and white bean ravioli, grilled bavette steak, roasted venison leg, and even grilled octopus and mussels. There’s also a bar located in Station that offers authentic local brews and great bar fare like Sloppy Joes and burgers. Note: this restaurant does tend to get a bit busy, so it’s advised to reserve a table. Pamela’s Diner has been serving up some of the best breakfasts in Pittsburgh since 1980. There are currently five Pamela’s locations in Pittsburgh proper and one location in Mount Lebanon. Just a few of Pamela’s breakfast classics include a Tex-Mex omelet, banana walnut hotcakes, croissant French toast, and corned beef hash with eggs. In addition to breakfast, Pamela’s serves lunch items like sandwiches, burgers, and BBQ plates. Pamela's is also a favorite of former President Obama when he is town. Located on Schenley Drive, Conflict Kitchen is a unique restaurant on a mission to combat ignorance one plate at a time. All of the food and drink items on Conflict’s menu are inspired by one country America is currently at war with. Conflict’s owners try to change up their menu every few months to highlight different geopolitical events. A few cultural cuisines highlighted at Conflict in the past few years include Iranian, Afghani, North Korean, Cuban, and Palestinian. Pittsburgh has the proud reputation for being the birthplace of American whisky. 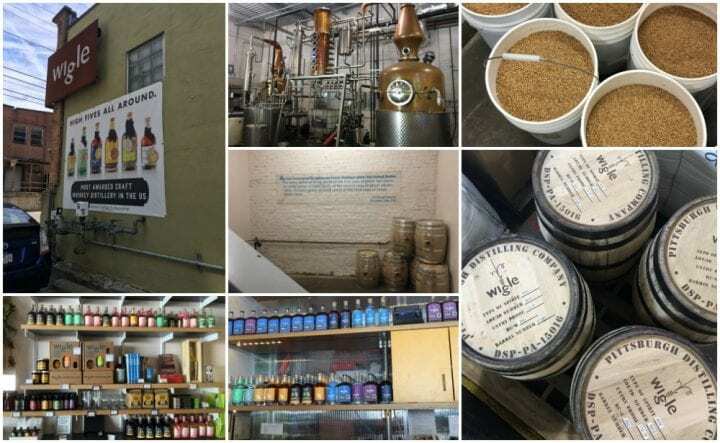 There’s simply no better way to gain an appreciation for authentically brewed Pittsburgh whiskey than taking a tour of the Wigle Whiskey Distillery in the Strip District. Wigle Whiskey became operational in 2011, and ever since then critics have hailed this family-owned distillery as one of the best in the nation. Just a few awards bestowed upon Wigle’s Whiskey from the American Craft Spirits Association include Best in Category Wheat Whiskey and Best in Category Genever. Visitors can tour both the company’s distillery and the barrelhouse.While technically not an eatery, there's a shop and tasting area here where every whiskey lover can see just what makes Wigle a cut above the rest. Fish lovers should head on over to Monterey Bay Fish Grotto the second they get into Pittsburgh. Not only does this fine dining restaurant have some of the best seafood in the city, it also has one of the best views of the Pittsburgh skyline. Monterey Bay Fish Grotto, which is located on top of Mt. Washington, has and amazing 360-view of Pittsburgh that never ceases to amaze guests at nighttime. A few popular dishes here include Monterey Bay crab cakes, the fresh halibut Caribbean jerk, and the Canadian lobster tail. If you feel like opting for “turf” rather than “surf,” no worries. 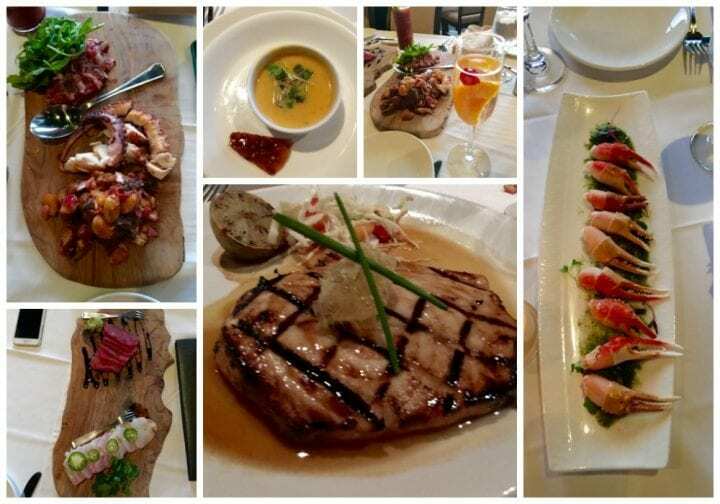 Monterey Bay also offers meat dishes like filet mignon and a ribeye bone-in steak. The Vandal is a restaurant on Butler Street perhaps best known for its brunch. 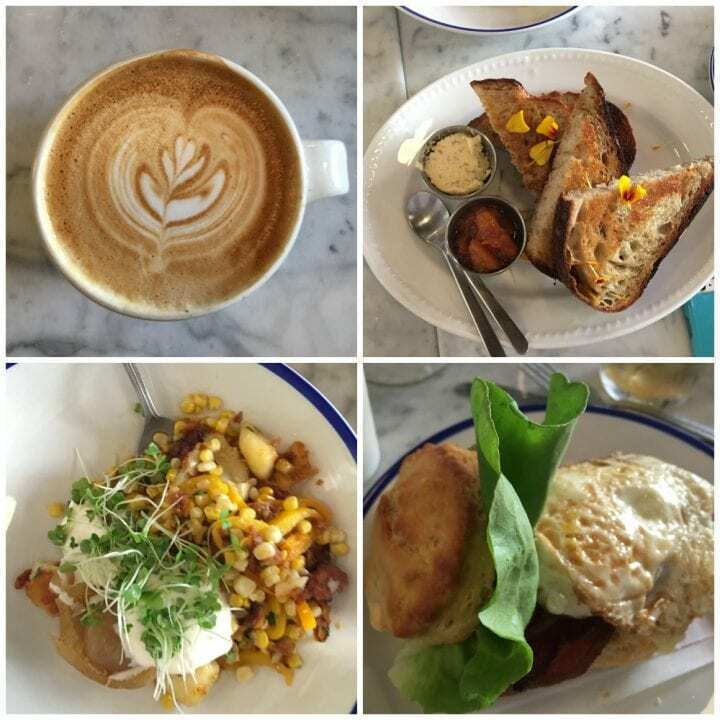 In addition to brunch, The Vandal also serves ups hearty breakfasts, lunches, and dinners. 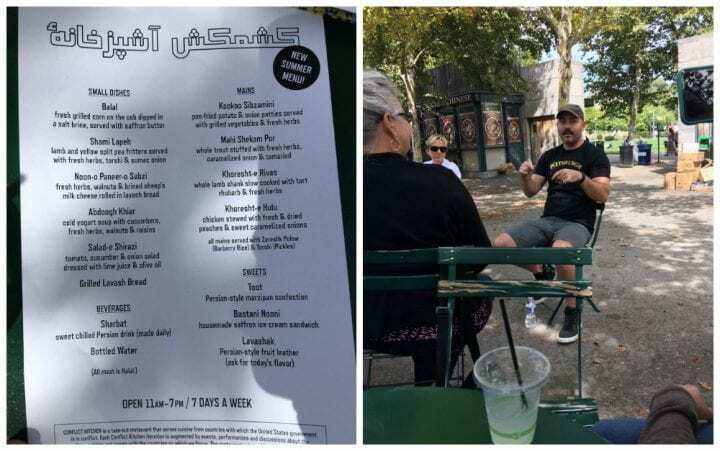 Guests enjoy The Vandal’s distinctly American culinary creations, such as a biscuit sandwich, a cheeseburger with tomato mayo and marrow, and a chicken sandwich with carrot & rutabaga slaw. Indeed, The Vandal’s chicken sandwich is so famous that it was awarded one of the best chicken sandwiches in the USA by Bon Appetit. By the way, The Vandal is a BYOB restaurant. We were hosted as guests of Visit Pittsburgh. We appreciate the hospitality and really enjoyed the amazing city of Pittsburgh, Pennsylvania. Definitely bookmarking this list. I love the idea of doing a food tour. I think it would be a great way to get off the beaten food track to try some local cuisine. Oh man do I really want to try WAFFLES, INCAFFEINATED!! That place looks so good! And a little far away from there now but when I can I would definitely check out these places. I’ve never been to Pennsylvania, but now I want to go just for the food! My mouth is watering! Goodness everything looks so delectable! As a breakfast lover, Pamela’s Diner is especially up my alley. Love seeing new restaurants to discover! Haven’t been to Pittsburgh in ages but when I do I’ll be sure to check some of these places out! Definitely saving this list. I love the idea of discovering local places to eat. Loved everything you’ve shared. Pittsburgh looks like the place to be if you want to eat. I love the looks of these restaurants. I cannot wait to go to Pittsburgh and see some of these places, and try them out. I have never been to this area before but have always wanted to. Good to know there are so many great places to eat! I learned so much about Pittsburgh by reading this great foodie post. They have there own Little Italy and is the birth place to whiskey. There are so many great restaurant choices if I ever get there. I actually read a news story about Conflict Kitchen a while back. It sounds like such a cool concept! I really enjoy discovering new restaurants when we travel. The food at the places looks divine. Such an awesome list. Everything looks so good. I need to go to Pittsburgh. Sign me up for Pamela’s diner. All your descriptions and plates looked great, but this one rocked my world. Let’s go. These are the really nice suggestions. I like Waffles, INCaffeinated. It seems they have some delicious food items. Thanks for sharing. Great article! 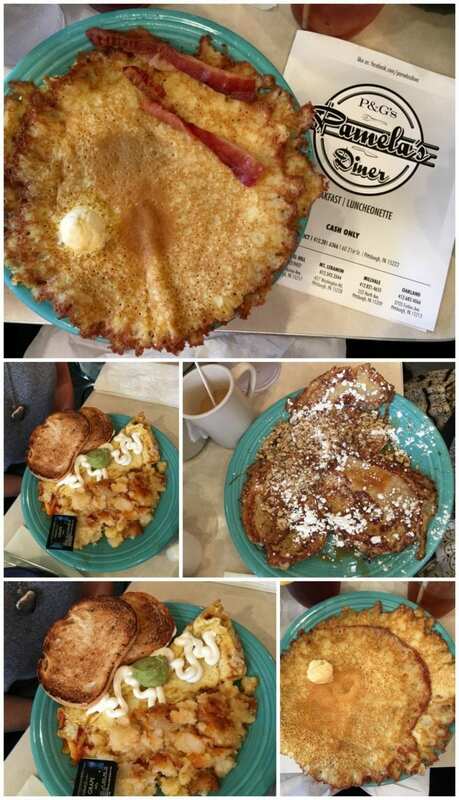 I am originally from Pittsburgh and every time I go home, I have to go to Pamela’s it is one of the best places to go foe breakfast or brunch. Although they are still old school and only take cash it is so worth it. You leave feel so satisfied and happy. But clearly it has been sometime since I have gotten around to seeing all of the other places you went to eat. Oh how my town has changed! Fabulous place! Love the dish. Looking so delicious. So many great places for foodies to discover in Pittsburgh. I think I would be in heaven at Waffles, INCaffeinated! Yummy! The more I find out about Pittsburgh, the more I want to visit. I need to take my daughter to some of the restaurants and Waffles, INCaffeinated! These look like great options. It’s amazing how close we live to Pittsburg yet never been there before! It’ll have to go on our bucket list! Yummy! I am game to try new dishes from PA! These foods you have here all look so mouthwatering to me! I’ve never been to Pittsburgh before! It sounds like a great city! Now I know where to eat when I finally make it to Pittsburgh. Everything looked delicious. Definitely on my bucket list. Wow, so much great food! I haven’t been to Pittsburg but I’d love to go! I’m already sold on all the food. There’s no question about it, I would totally have to stop into Waffles, INCaffeinated!! There’s seriously nothing on this earth better than waffles and coffee on a weekend morning! Waffles and coffee? I’m in breakfast heaven! Everything looks like Pittsburgh is a foodie must-see (or is it must-eat??). Wow i wish those restos in PA are everywhere.. drooling now. Yum!!! My fave is The Vandal, i can have brunch anytime of the day!